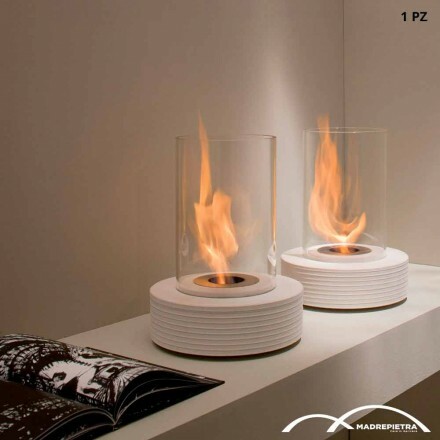 This part of our catalog is reserved for freestanding bioethanol fireplaces. A perfect idea for those who have a living area with a large living room and I want a fireplace that in addition to being aesthetically beautiful is also practical and environmentally friendly. But perfect even for those who have outdoor spaces where they would like to place a floor fireplace. The range of products proposed ranges from large floor standing bioethanol fireplaces, ideal to be placed at the center of the room, such as those made with the glass case or to be original with the triangular metal structure, to those of dimensions more reduced.as the sphere-shaped steel bioethanol fireplaces. The types of design vary from the simplest ones, for those who love a minimal and discreet style, to those that are more eleaborate and original, to the most eccentric minds. Whatever style you are looking for, on Viadurini you will find products made of high quality materials. 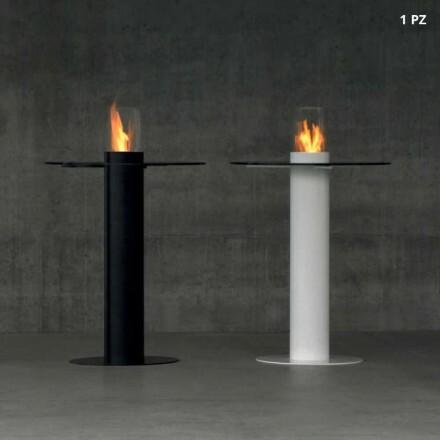 Discover the whole collection of unique and quality modern bioethanol fireplaces. Our staff is at your disposal for further clarification and to give you more information about the products. You can find us at our phone number, in our chat or at our e-mail address.